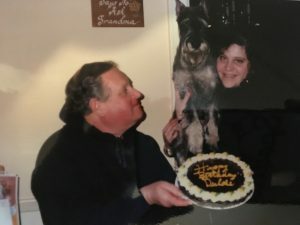 I’ve written in prior posts that my dad did not like attention on holidays like his birthday or Father’s Day. He preferred to do things for other people, and not necessarily on holidays. 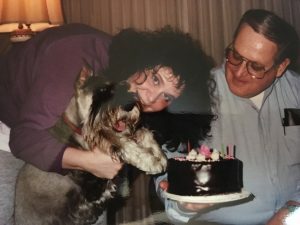 For this reason, other than feeling a little displaced and lonely without a plan to spend time with my dad, the holiday did not really bring me down. After all, I already miss him. 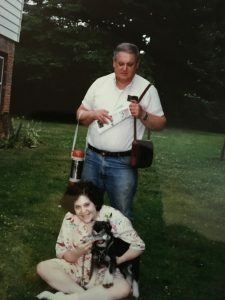 Last year, Father’s Day hit me harder because with the loss of my dad and then Ben, I realized that the people I was closest to are not here anymore (click here to see that post). I do believe that they are always with me, and watching over me, and that is a comfort. But, there are those times that I just want to pick up the phone, or feel a touch. I don’t fight the moments of sadness, but today I want to summon the loving and good memories, because I never lose sight of how fortunate I am to have them. My dad and I spoke several times a day. He even called my cats! 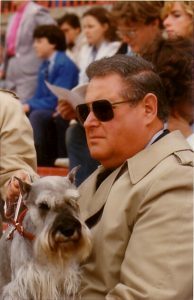 He was a very good Grampa to my first cat, Tiffany, and then, to Disney, and he spoiled them just as he spoiled our dogs. I knew that when I went out, I would come home to a message on my answering machine with him calling my cat to say that it was a grave injustice that mommy left her alone. They even got packages of treats and toys, addressed just to them! Even four years later, I miss that. With all of the chaos in the world, I miss getting his perspective given his extensive knowledge of history and the military. When my aunt asks me what Daddy would say about the state of the world, I know there would have been many phone calls and there would have been a lot of yelling. I know that what is happening would have eaten his heart out, so I’m grateful that he’s not dealing with it, but I miss the comfort of his explanations. 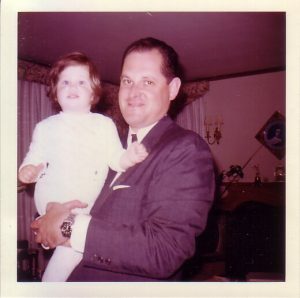 I was a Daddy’s girl and I did trust his judgment on world events. I certainly can’t trust our current administration. I think back to the days of Dan Quayle, when Daddy and I would rush to the phone to call each other as soon as we heard one of his mistakes. I even got him a subscription to the “Dan Quayle Quarterly.” Now, in light of what he and I would definitely consider damage to the country, Dan Quayle’s errors would be a welcome bit of relatively harmless, comic relief! I’ve been looking through old photographs because I do take great comfort in that, despite some tears. It’s hard to find photos of my dad and me together because he was usually the one taking the photos. He loved capturing silly and sweet moments, often with our dogs. When I look at some of photos that he took, I know exactly what he was thinking, or what joke or prank he had in mind, and that, in itself, is a joy. Today, I will try to remember that Daddy never wanted me to be sad. I cannot count the number of people who stopped me to tell me that I was my dad’s world. And, since he was quite a character, a lot of nurses blessed me for my patience, which always made me laugh. He would be humbled that I remember him, which is so odd to me, because he is always with me and is so much of who I am. Camera on his shoulder, Daddy always wanted to be the photographer, not the photographed! When Ben was ill, despite fighting cancer, my dad never failed to think of how he could help Ben. I think that on a certain level, he felt connected to Ben because they were both facing death. But, the gadgets that my dad found to make help Ben with dexterity were so genuinely appreciated. I was always surprised to find that Ben called my dad to check on him and to chat, but my dad became Ben’s dad, too, and that, in itself, is a special memory. Daddy called Ben a gentle soul- I think they were both gentle souls. I wish I had a photo of the three of us. Thank you, Daddy, for the lessons you taught me, the laughs and sense of humor you shared, the moral compass and patriotism you instilled in me, and the unconditional love and generosity you showed me. 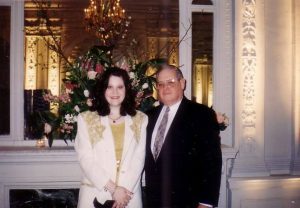 I love you and miss you, on Father’s Day and every day!